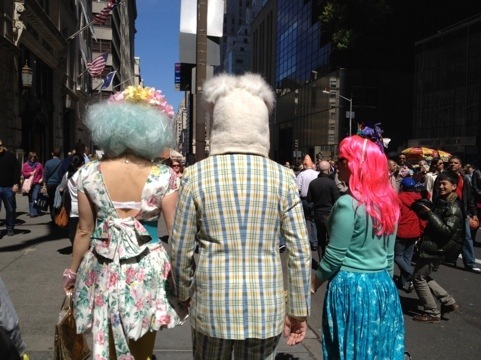 For the first time in my 30 years of living in NYC, I went to the Easter Parade on Fifth Avenue. I wanted to see the pretty hats and dressy pups, but there were also magicians and street dancers and ice cream vendors. So fricken’ fun. So free. 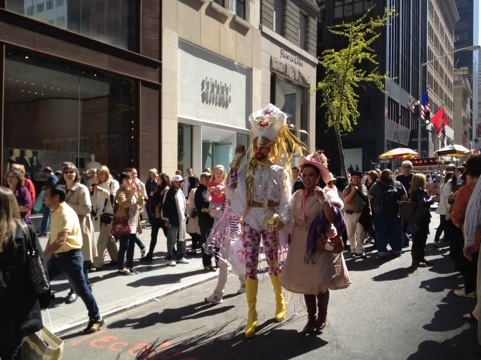 Fifth Avenue was closed today, Easter Sunday afternoon, just so we could stroll — to see and be seen. I can only imagine how awesome it was in person! 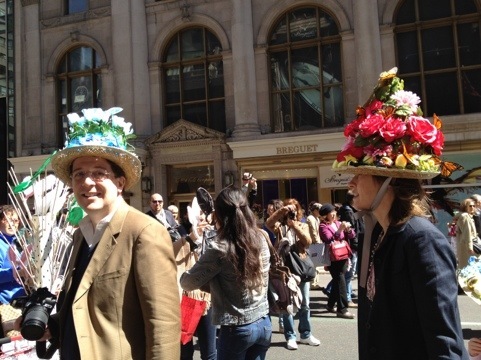 Next year, I’m going to dress up in a flowery, Spring-y hat! It is awesome! Thanks for the pics! I “strolled” last uear and loved it. 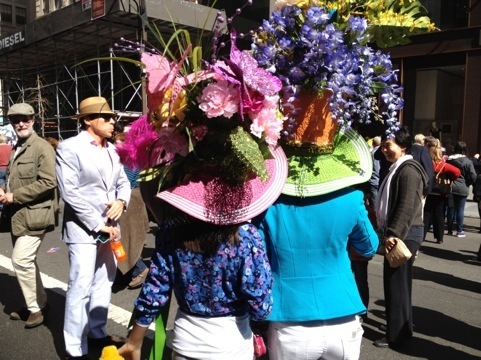 Amazingly windy for hats today. I saw onw of yellow net and fruit that didn’t look like Carmine Miranda. Thanks! Happy Easter, Harriett! Yes, it was super fun! I can’t believe this was my first time. I loved that it was unstructured and informal. I loved the people in Victorian garb — top hats and long dresses. So civilized! 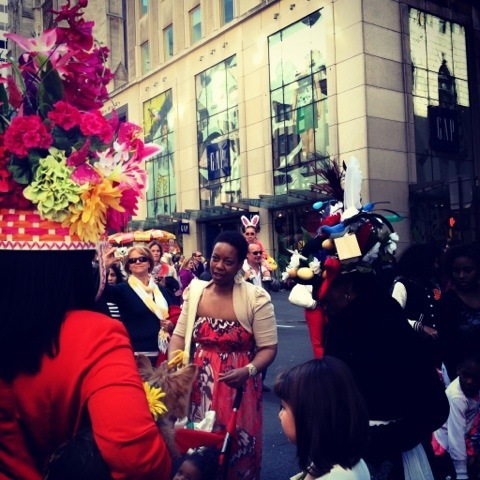 I’ve never been to an Easter Parade and I’m a born and bred New Yorker. I used to have to march in the St Patrick’s Day Parade back when I was in high school in the 60’s and I think it’s turned me off of parades in general. If you get a chance look at my blog post “A St Patrick’s Carol and you’ll see why. 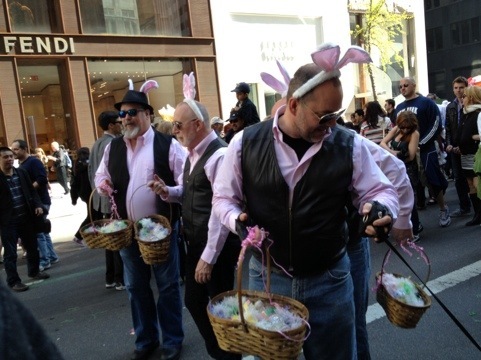 But maybe one year I’ll take in the Easter parade. Thanks for the tempt!.